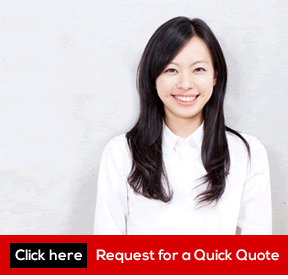 Translation Service HK provides the best Japanese translation in Hong Kong. Our Japanese translation service is complete with native Japanese professional translators. They understand the importance of your request and are dedicated to giving you the best service. 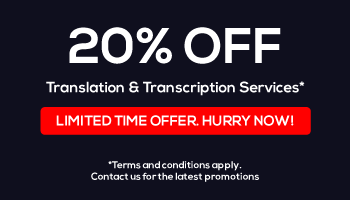 Our prices are the most competitive, allowing you to rely on us for any translation needs. We promise you that if you trust us, you will receive the highest quality of care. If you need a Japanese translation, to or from any other language, we are here for you. We can also perform multi-lingual translations, to or from more than one language. Our team of professional and qualified translators have years of experience in the field. They will outperform our standard criteria and offer you the product you seek. Regardless of deadlines or the size of the translation, you can trust Translation Services HK to deliver. Our Japanese translation service team can provide a variety of translation services, such as Japanese document translation, and much more. Please refer below for more options. If you require any other Japanese translation services, please get in touch. Our service team will be very happy to discuss your order in more detail. Our translators are either native or highly qualified Japanese writers and speakers. They can all identify the subtleties and style of both Japanese and the target language. Our professional Japanese language translators have many years of experience in the translation industry and deliver each piece of work to the highest industry standards. Therefore, you as a client can rest easy, knowing that all of our translators have passed rigorous quality testing. Translated documents will be accepted and returned quickly with impeccable quality of work. And with our team of dedicated proofreaders, you will always be satisfied. Japanese has a fundamentally different grammatical structure to most other languages. This means that for accurate translation, you need an expert in both languages. English and Japanese grammar, for example, have very little in common. To translate them, you need to add or remove many things. Japanese does not have certain propositions, such as ‘at’, ‘into’, ‘from’ or ‘with’. Nor does it have definite or indefinite articles like ‘a’ and ‘the’. These are just a few of the major differences between the two. And they go to show that expert translators are essential for Japanese document translation. Our translating services are dedicated, experienced and cost-effective. We have a team of highly qualified translators from all over the world. They work quickly and efficiently, completing complicated document translations in time. Each work will be carefully checked so that we can ensure their precision and quality. We are dependable and flexible, always ready to accommodate your wishes and requirements. Whatever the task at hand, please let our team of expert translators help you. If you need or want any more information, please contact us. For a quote, please send us an email, or give us a call.